An enchanting tale of courage and sacrifice for young readers and adults by the wildly popular George R.R. Martin, author of A Song of Ice and Fire, the series that inspired HBO's Emmy Award-winning GAME OF THRONES. Lavish illustrations by acclaimed artist Luis Royo enrich this captivating and heartwarming story of a young girl and her dragon. Adara could not remember the first time she had seen the ice dragon. It seemed that it had always been in her life, glimpsed from afar as she played in the frigid snow long after the other children had fled the cold. 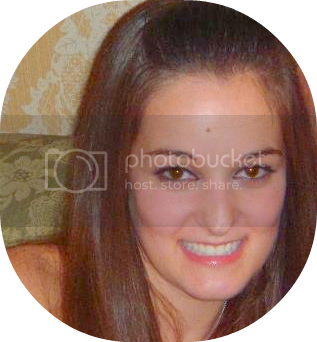 In her fourth year she touched it, and in her fifth year she rode upon its broad, chilled back for the first time. Then, in her seventh year, on a calm summer day, fiery dragons from the North swooped down upon the peaceful farm that was Adara's home. Although there are many scenes that are depressing and violent, I think that the message of this wonderful book is thought-provoking and important. There were moments where I thought "Wow this is pretty intense for a children's book," but in my opinion, children are exposed to much more violent forms of media that does not have the beautiful prose and message that The Ice Dragon delivers. Despite the fact that it is targeted toward children, The Ice Dragon is a story that people of all ages will enjoy. There are elements in this story that will appeal to all types of readers. I especially think that this will appeal to George R.R. Martins lovers, and those who adore fantasy. For those of you who have come to expect greatness from George R.R. Martin, I do not think you will be disappointed. The illustrations by Luis Royo are beautiful and work well with the story. 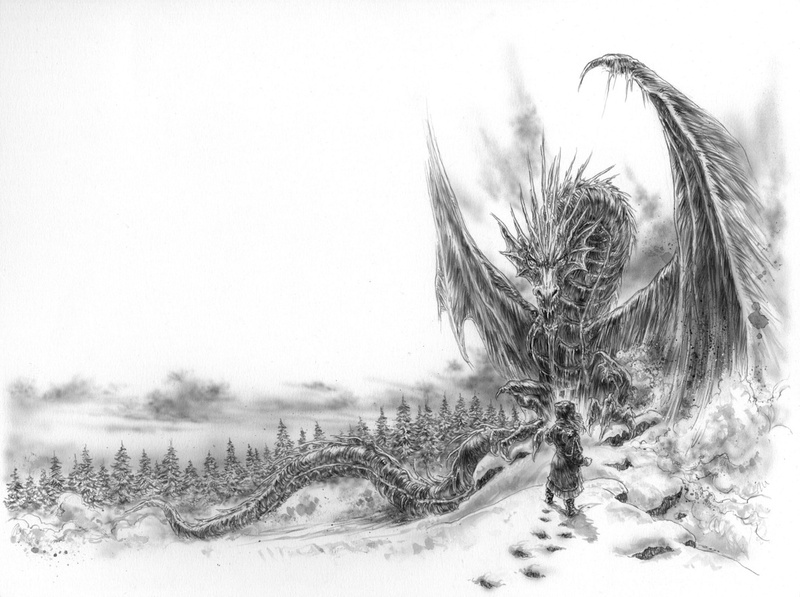 The drawings of the dragon are nothing short of incredible. I am happy to say that I can not come up with anything that I disliked about this quick read! The ice dragon breathed death into the world; death and quiet and cold. 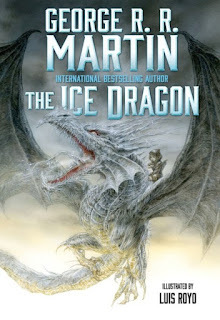 Have you read The Ice Dragon? What did you think? Do you know of any books similar to this one? Thank you for taking the time to read this review!